A fresh set of shutters can revitalize a house’s look, but only as long as they keep looking new. Check out these great maintenance tips for your shutters. Shutters are perfect for the home. They look good but also serve a practical purpose. They provide shade from the sun, and they also provide a pleasant alternative to a boring building view outside your window. 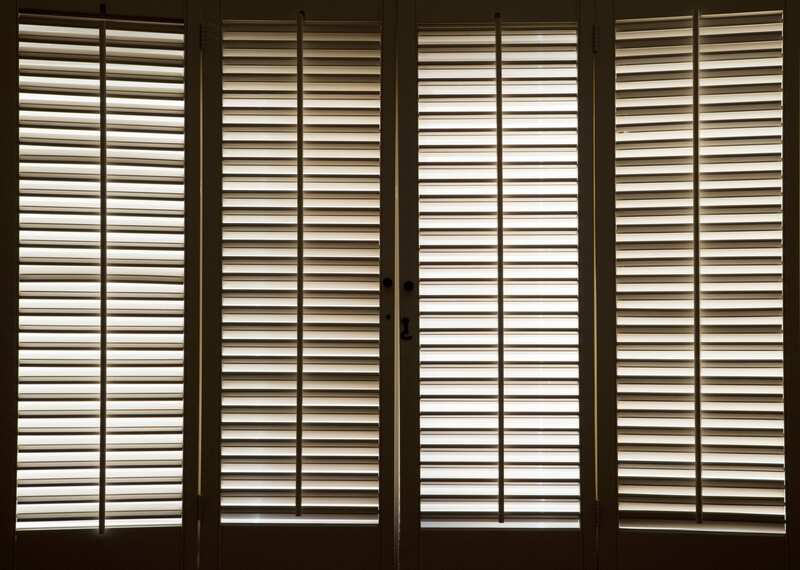 In Australia, the average cost of shutters is about $1750. So although your shutters will not be the most expensive item in your home they are definitely worth looking after. This article will help you do that by providing great maintenance tips. Watch out for the absolute no-no when cleaning your wooden shutters. Get it wrong and you will be forking out another few thousand dollars on your shutters. Shutters are both strong and fragile at the same time. Wood has natural strength but shutters are made from multiple louvers fitted together with some sort of turning mechanism that changes the angle of the shutters. When cleaning them you need to be firm but careful so as not to damage them. A standard vacuum cleaner will suffice. However, you will want to use the small attachments that come with your vacuum. This will allow you to more delicately access and clean the louvres. If you have a handheld vacuum, this is an excellent alternative and offers better control of the angle of suction. Handheld vacuums also come with a selection of attachments, so make sure you use one that is small enough to get between the louvres if possible. Microfiber cloths are a brilliant invention. Some say it was the Japanese who came up with this, while others are convinced it was the British. Who cares? Either way, they are brilliant cloths for cleaning shutters. The width of microfiber is less than a fifth of a human hair. That means they have a high surface area and will gather dust rather than push it around. That is especially useful when cleaning blinds as you don’t want dust being pushed from one louvre to the next and then back again. 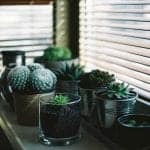 The gathering of dust is one of the main enemies of your blinds as it makes them look unsightly. Dust gathering on your blinds untended can cause various health problems and allergies including asthma. This is where dust spray will really help. You need to make sure you use a dust spray that is free from silicone as this can get into the wood and affect the finish. Of course, you can make up your own dusting spray that can be just as good as anything you buy in the shops. Every home has these. They are very useful when cleaning your blinds depending on the type of material your blinds are made from. They are quite good for spot cleaning as well. Shutters have lots of little hard to reach places like grooves. An old toothbrush is an ideal tool for such a job. The fine bristles on the brush will allow you to clean but are gentle enough not damage. Toothbrushes are cheap and easy to replace, so you can use them as much as you need to. A toothbrush is a great tool to get rid of lint from material shutters. This is gradually formed as the shutters are opened and closed continuously. It is important to understand that not all shutters are cleaned the same way, even though some principles will apply to all shutter types. For example, the basic cleaning tool for wood shutters may be your microfibre cloth, whereas for metal or vinyl shutters you may wish to use rubber gloves and an ammonia solution on the end of one finger. This can then be used to run along the louvres. Metal and vinyl type blinds tend to be more forgiving during the cleaning process whereas wood needs to be handled with more care. Never use water. This also very important when cleaning paper or parchment type shades. Some people may choose to use water gently but the wisest thing to do is to avoid water completely. It is also a good idea to avoid any cleaning agents on wooden shutters made from bamboo. Wooden shutters just need wiping with a microfibre and also vacuuming. If the wood needs to be cleaned with some sort of cleaning agent, the best thing to use is wood cleaner like oil soap. Even though wood shutters are a little more work, they are worth it as they look great. Venetian blinds are an example of good looking and practical blinds. 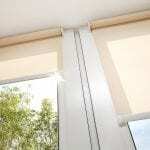 Check out this article on the benefits of this type of blind. Shutters need regular care and attention to keep them clean and looking their best. It is worth the effort as they can really enrich the look and feel of a home. Here is an excellent article about how to choose the best window blinds for your home. There are dozens of styles and variations on the type of shutters you can have fitted to your window. Whatever you choose will make a big difference in how your room looks. That means that shutters are an important style and design choice. If you have any questions get in touch here and we can help you decide on what you are looking for. Our website is full of excellent examples and pictures that can help you start to imagine what blinds and shutters will look good in your home.